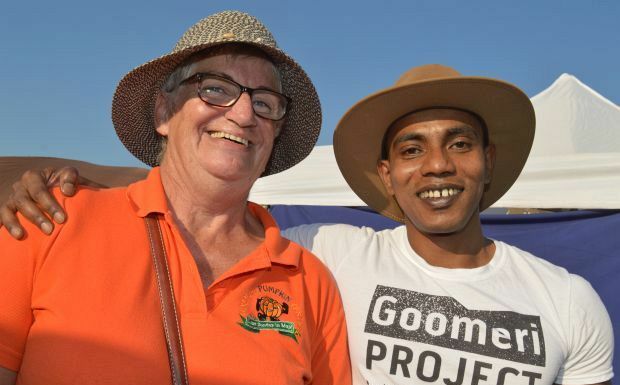 The event was a combined effort by the committee behind the annual Goomeri Pumpkin Festival and a new community group, Goomeri Project. Goomeri Project administrator Dev Adhikary said Gympie Regional Council had also helped to get the concept off the ground. 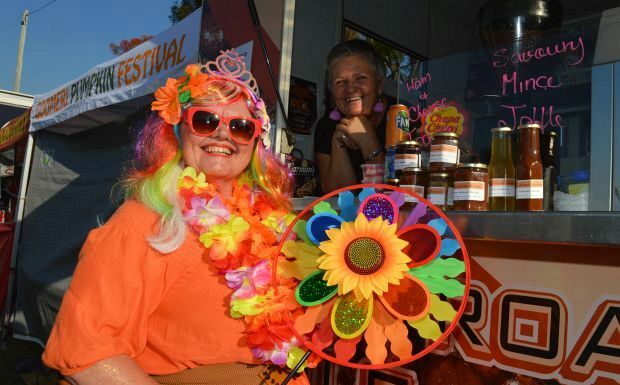 Twilight Markets have been held before on the former railway land in the heart of town, but this time food vans and musicians were also invited along. Dev said 18 months of planning had gone into this first event. Six food vans as well as some specialist market stalls selling food items turned up for the afternoon / evening. 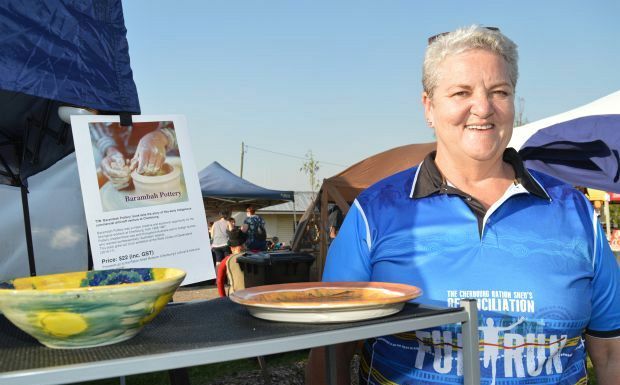 Several South Burnett groups took advantage of the markets to promote their wares, including Cherbourg’s Barambah Pottery artists who had a number of items for sale. 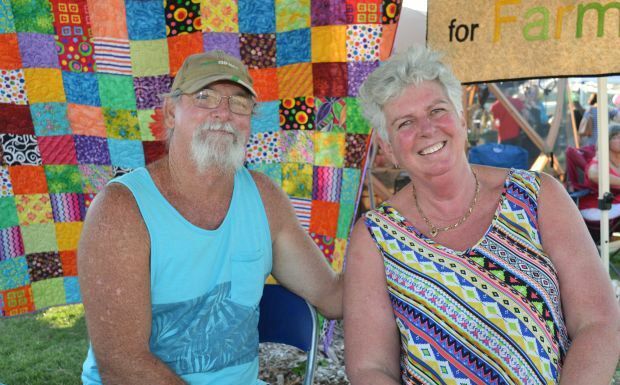 Glen and Lianne Cooke, from Bells Bridge, were also putting the crowd numbers to good use, selling raffle tickets for quilts made by the Bells Bridge Peacemakers. 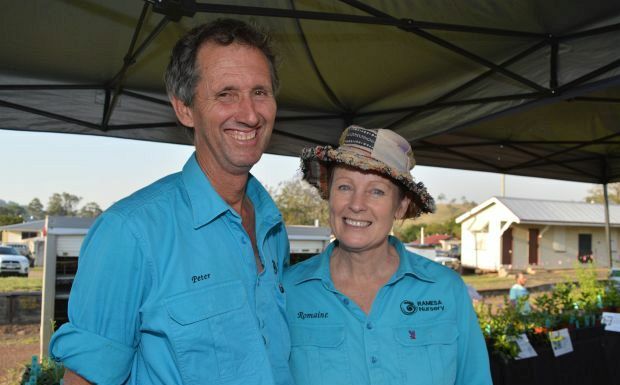 Money from the raffle will assist local farmers. 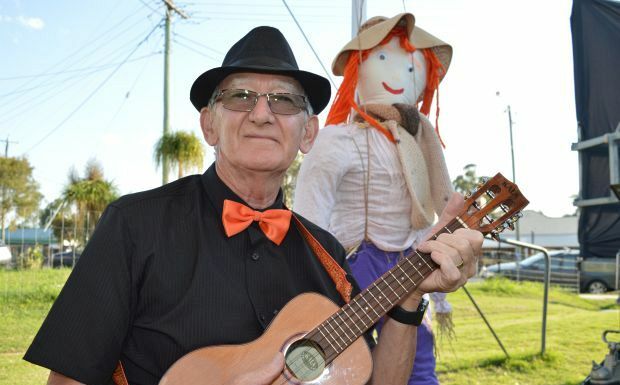 A highlight for visitors were performances by the Maryborough Musos (ie. ukeleles, strings and other instruments) who travelled to Goomeri especially for the event. 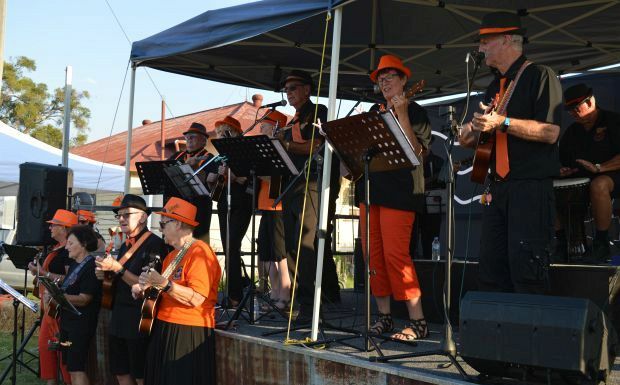 The 26 performers, who also played at this year’s Pumpkin Festival, took over the stage to play some well-known tunes. 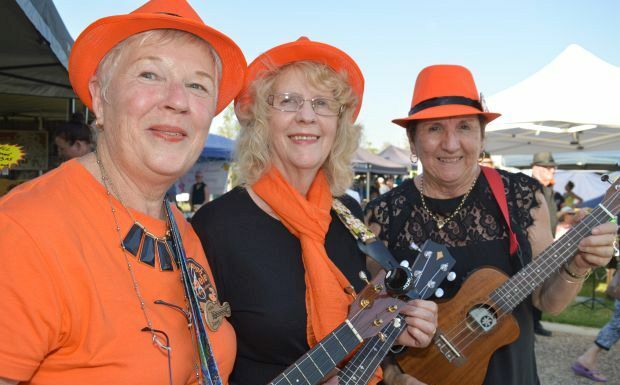 The musos, dressed in Goomeri “pumpkin orange”, also provided a mini economic boost for the town as many stayed overnight locally to explore the area after travelling down in their vehicles.